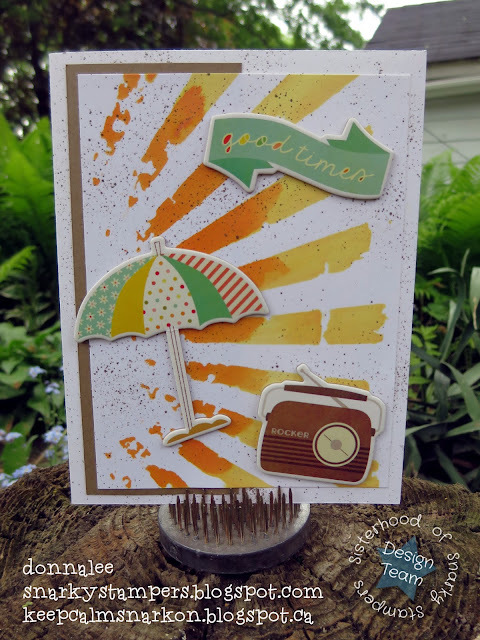 Thanks for coming by today to check out the latest challenge from the SISTERHOOD OF SNARKY STAMPERS. 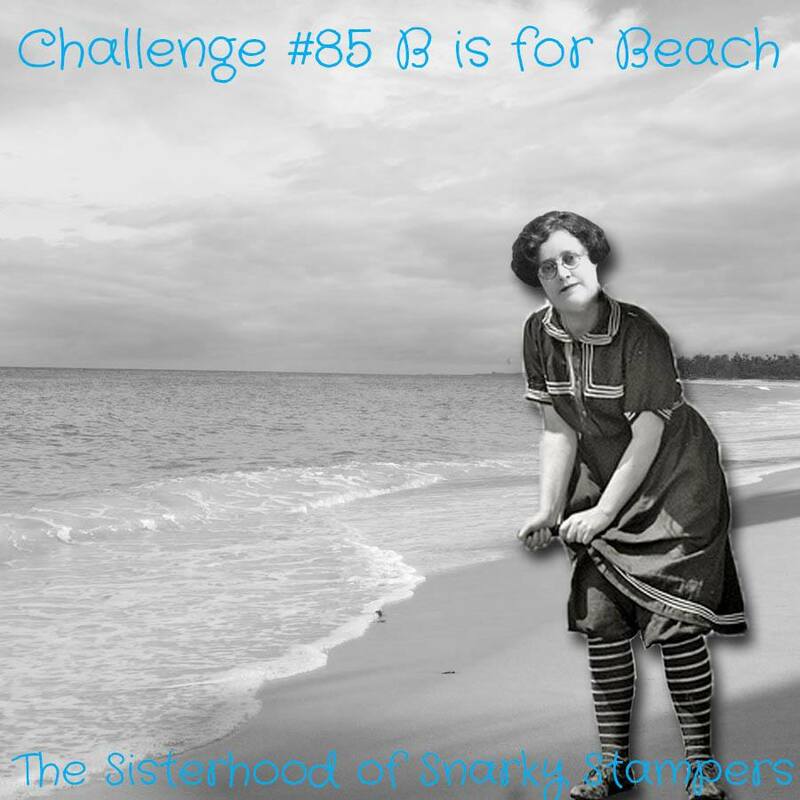 Looks like Miss Edna is ready for some warmer weather and a trip to the seaside and she'd very much like you to join her and the sisterhood at the beach. I don't have much beach / summer stuff in my crafty stash, but I did remember some chipboard pieces from an old card kit (thankfully). I wanted my card to have a "sand in your shorts" kind of feel so I started by spritzing the card base and layer with my Soft Suede marker. Then I used the stencil to create what I hope kind of looks like a sun?? I think I will send this card to my bestie who has a birthday in June. As teenieboppers we used to ride our bikes down to the other end of town to lay on the beach, listen to tunes and invariably suffer very bad sunburns...ahhhhh...good times!! what a fun beachy card!!! Your stencilled and spritzed background is awesome, Donna! And the chipboard *bits* are perfect.